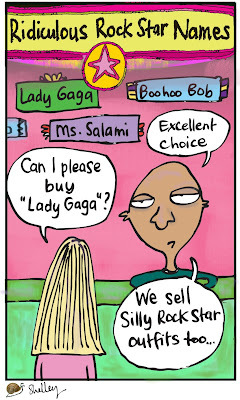 Shelley cartoons: Lady Gaga, and trains. Lady Gaga is in town, hence the cartoon. I noticed that it seemed duller when printed. Methinks the designer toned down the colour. Which is a pity because the tacky, eye-catching colours were deliberately chosen. Kind of 'on theme'. 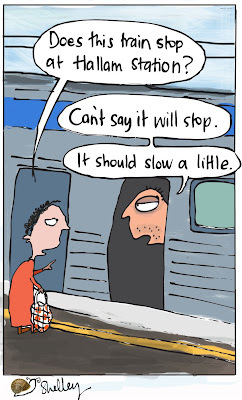 And in the latest episode of the grand saga of Melbourne's public transport system: our trains have dodgy brakes! A train recently overshot Hallam Station, passing it with all but one of it's carriages. A bit worrying really.